Evermore Plumbing & Gas provides a complete range of hot water services. Local business looking after the local community. When it comes to hot water, look no further than Evermore Plumbing & Gas. 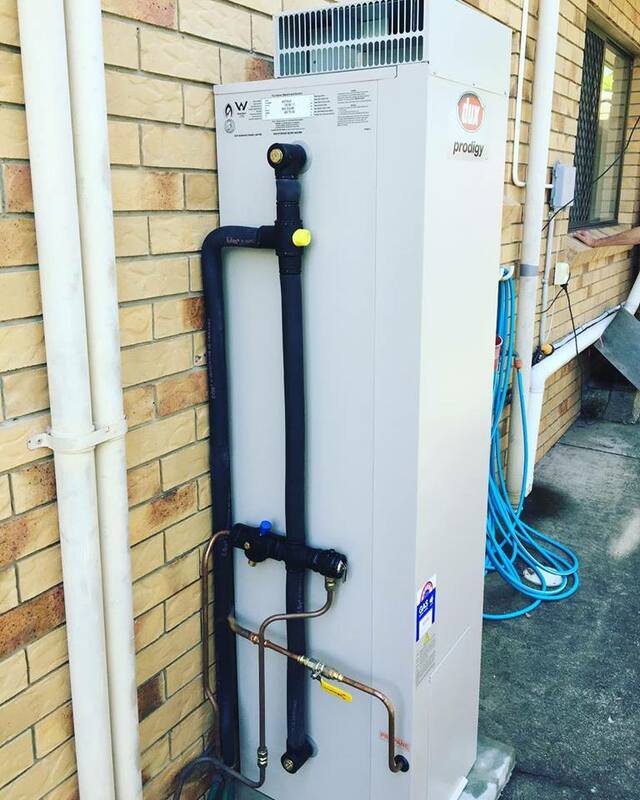 We have been servicing and installing hot water systems in Eagle Farm for over 10 years. We offer all major brands. Time to replace your Hot Water Unit? Call Damian on 0450 355 331. Running out of hot water every time you hop in the shower? Thinking of converting from electric to gas hot water? Call Damian for a friendly chat. Evermore Plumbing & Gas have been providing our customers with high-quality hot water services. When an issue arises, you may find yourself taking an ice-cold shower in the morning. That’s why you should turn to Evermore Plumbing & Gas. We will repair your water heating system in no time. With over 10 years of experience in the hot water industry we can guarantee the best and quickest service in Eagle Farm & the surrounding areas. Being a local family business we are also able to provide the affordable prices. Call Damian today on 0450 355 331 to make a booking. Hot Water Services We Offer: Hot Water Repairs, Hot Water Replacement, Hot Water Installation, Hot Water Servicing. Get in touch with Evermore Plumbing & Gas if you’re having problems with your existing hot water unit and need a service or if you’re looking to buy a new hot water system.